Fall is Upon Us — Where Can You Find Your Pumpkins in the Twin Cities? You are at:Home»Lifestyle»Local Businesses»Fall is Upon Us — Where Can You Find Your Pumpkins in the Twin Cities? As the days in Minnesota become shorter and the weather a bit more brisk, many citizens of this cold weather state begin to set their eyes on fall activities. 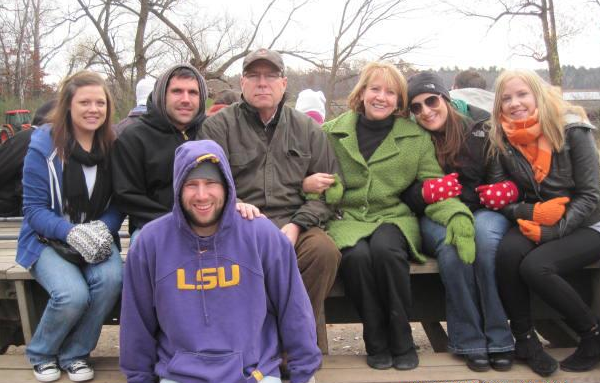 One of my favorite past times is picking out pumpkins for Halloween, a task which usually takes place at Pine Tree Apple Orchard in White Bear Lake, MN. This is my favorite spot to go — however, this is not the only place to pick out pumpkins around town. Of course, anyone can pick up their pumpkins at the grocery store or some other generic setting, but that’s no fun. There are plenty of fun places around the Twin Cities to find your pumpkins, here are just a few. Let’s get started with Pine Tree Apple Orchard, a yearly stop for my family as we like to spend time picking out pumpkins, but also stocking up on our favorite apple flavored baked goods (apple donuts, apple pie, etc.). In all honesty, if you have an opportunity to try the apple donuts there, you must do yourself a favor and pick up a box — these donuts are to die for — it’s hard to stop at eating just one. 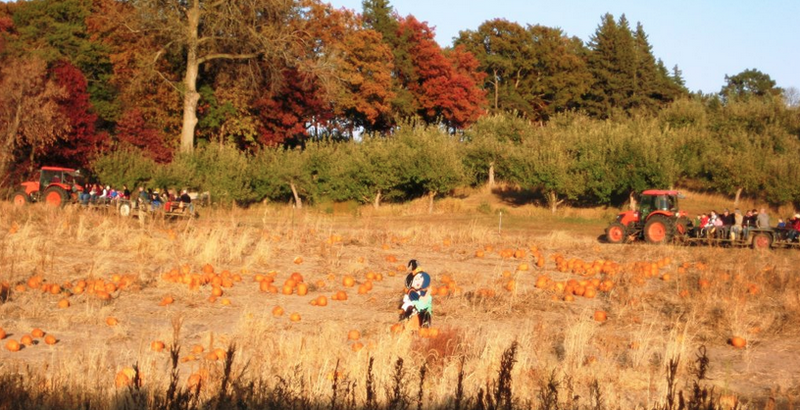 The orchard is a perfect place for a date or for a family excursion — they have plenty to do on the weekends, from hayrides, to a corn maze, to live music — and of course, walking around the pumpkin patch to find your next Jack-O-Lantern. The pumpkin patch opens September 28, more than a month before Halloween. The Pine Tree Apple Orchard website has all their event information, check out their website. While I have never visited these other places, with a little bit of research, this is what I found. The Afton Apple Orchard has a lot of the same appeal as Pine Tree, a corn maze, late season apple goods, hayrides, and of course, pumpkins. It’s fun to browse the Afton Apple Orchard website, where they have tips for picking good pumpkins, tips for cooking pumpkins, and also pumpkin facts, like nutritional information. The Afton Apple Orchard has over 190 acres of land dedicated to apples, strawberries, raspberries, and pumpkins. Though your mission may be to pick up pumpkins, there is no harm done from grabbing some their featured fresh fruit as well. Make sure to consider checking out their Apple Festival which starts October 5th, an event packed with apple picking, cider making demonstrations, face painting, and much more. 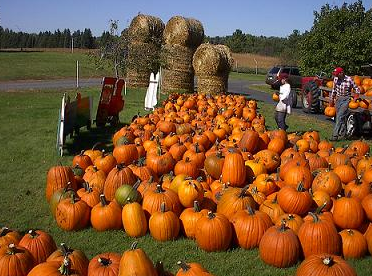 McDougall’s Apple Junction in Hastings also offers an assortment of pumpkin options. They have a plenty big pumpkin patch, but also have quality pre-picked pumpkins at their outdoor market alongside their varieties of apple offerings — the pumpkins become available to visitors late September. 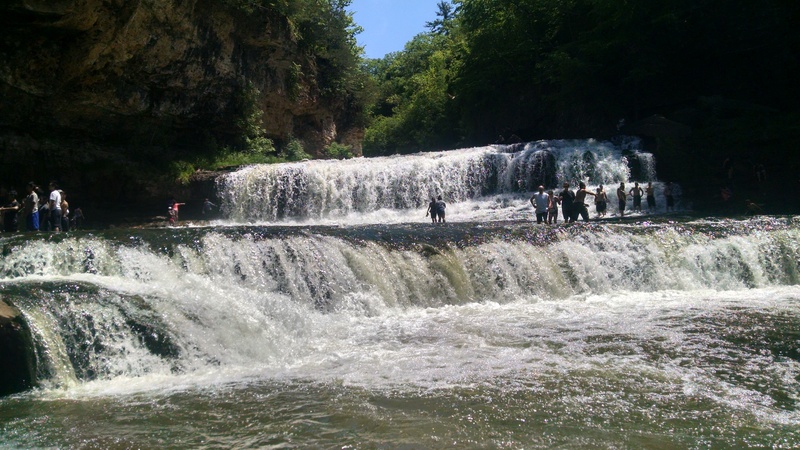 This place has a lot to offer visiting patrons — most notably, the observation tower, a platform at the top of a staircase overlooking the gorgeous St. Croix Valley. When the leaves are all changing color, the view is never more breathtaking. McDougall’s also has a Straw Mountain, which is exactly what it sounds like. It has plenty of activities and play areas for children, a petting zoo, refreshments, and wagon rides with Farmer Bob. Visit their information page for more information. Peter’s Pumpkin and Carmen’s Corn in Shakopee is a growing brand, becoming a great spot for families to pick up their fall necessities. They are primed for family visits on fall weekends by offering a friendly atmosphere, complete with hay-rides, a corn maze, face painting, as well as many fresh fruits on sale. This spot doesn’t have a lot of information online, but they definitely have everything one needs to enjoy a pumpkin picking experience. There are many more options just outside the cites, from Minnesota Harvest Apple in Jordan, MN, to Minnetonka Orchards in Mound, MN, to Fireside Orchard and Gardens in Northfield, MN. So wherever you live in the state, there are orchard options for you. Be sure to do a bit of research and find the spot that works best for you. Photos via: Matthew Deery, McDougall Apple Junction, and Pine Tree Apple Orchard.